Howdy friends, it is new release day at Bug A Boo Stamps. 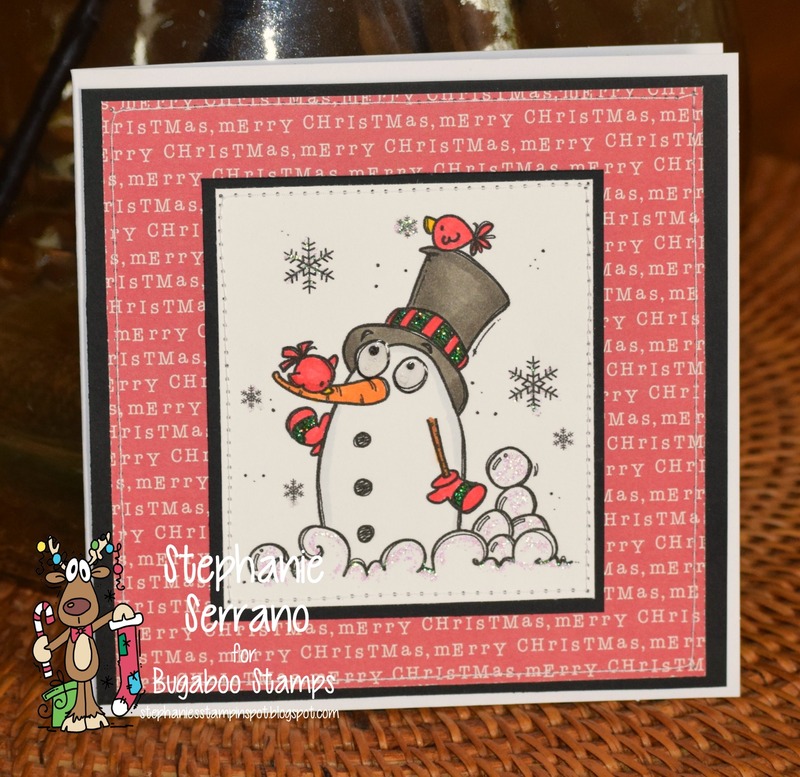 This one is a cutie, I love all things snowmen and I love birds!! I colored with copics and the paper is from The Paper Studios. Head on over to the Catch The Bug Blog to see what the other DT members did with this cutie. Stephanie, your snowman card is adorable. Love the stitching.